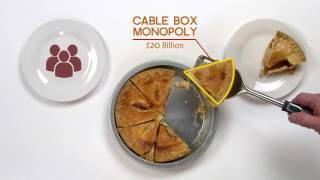 Today, Public Knowledge joined Communications Workers of America and 20 rural, consumer, civil rights, labor, and other groups in a letter urging Federal Communications Commission Chairman Ajit Pai to retain the agency’s tech transitions rules that protect consumers while providers like Verizon transition from copper to fiber networks. The agency plans to roll back these consumer protections on November 16, effectively downgrading rural America. On his very first day as the Chairman of the Federal Communications Commission, Ajit Pai dedicated himself to closing the digital divide and to “work to bring the benefits of the digital age to all Americans.” Sounds promising for America, right? 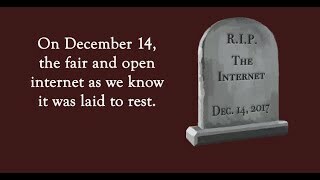 Unfortunately, Chairman Pai hasn’t followed through with this promise. Instead, the Trump-appointed FCC Chairman has rubberstamped the elimination of several policies and protections that are critical to closing the digital divide. Will Rural Texas Ever Get Its Phone Service Back After Harvey? According to the official Federal Communications Commission statics (current to August 30), Hurricane Harvey is having a predictably significant impact on telecommunications in the path of its devastation. We won’t actually know the final damage for awhile yet, but it appears that cell sites are pretty much gone in the counties where Harvey made landfall (but service is being steadily restored). Over 265,000 landline phones have been rendered inoperative. No one expects a communications network to come through an epic flood like Harvey without serious disruption. Indeed, from the very surface look of things, it appears that the communications network in the impact area is performing much better than it did during either Hurricane Katrina or Superstorm Sandy.